In honour of the Offshore Technology Conference, each year, World Pipelines’ April issue includes updates from oil and gas pipeline companies working offshore around the world. In addition to the issue’s general offshore focus, a number of companies are invited to participate in the annual Offshore Technology Review, which offers insights into global offshore pipeline activities. Read on to see what TWI has been up to. "TWI – offshore technology review"
International independent research and technology organisation, TWI (UK), has been applying its problem solving expertise to the offshore industry for over 70 years. The company has been involved in a large number of offshore pipeline projects, ranging from front end engineering and design (FEED) to life extension. Projects carried out by TWI include: testing pipe materials in specific environments; fatigue testing of risers; qualification of welding procedures; non-destructive testing; structural health monitoring; engineering critical assessment, fitness for service and damage assessment; implementation of risk based inspection; and failure investigation. The company also operates state-of-the-art laboratories that offer a range of testing services that can mimic real life operating conditions. 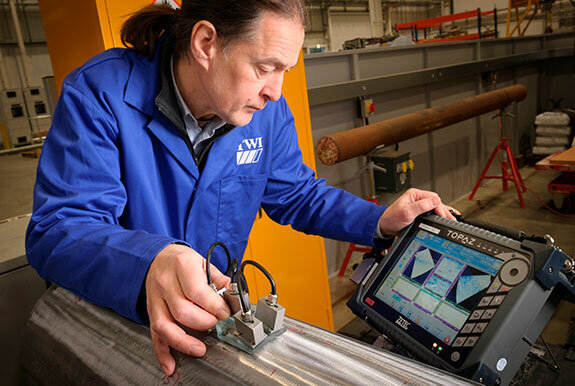 One of TWI’s current projects is a contract with the Pipeline Research Council International (PRCI) for the development and verification of an ultrasonic inspection tool for pipelines, using Alloy 625 weld overlay cladding deposited by the tungsten inert gas process. Phase 1 of this project began with a review of potential techniques, including ultrasonic and electromagnetic methods. Phase 2 saw the development of a phased array ultrasonic testing (PAUT) tool for detecting a range of potential flaws that may arise during fabrication and while in fatigue critical service as part of riser systems. The PAUT tool used commercially available components (such as probes and instrumentation) along with a specific arrangement to maximise detection confidence in difficult to inspect cladding. 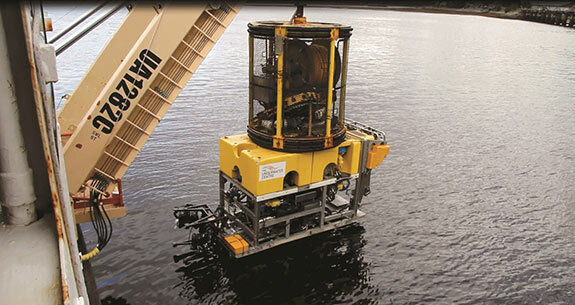 While it has been designed to be used by certified Level 2 PAUT technicians in pipe mills during the cladding process, the tool can also be readily configured for deployment on remotely operated or autonomous subsea platforms. Phase 3 – the final phase of the programme – is now underway. TWI is carrying out validation of the tool, using several pipes that contain a statistically relevant number of flaws in order to establish the probabilities of detecting numerous critical flaw types. 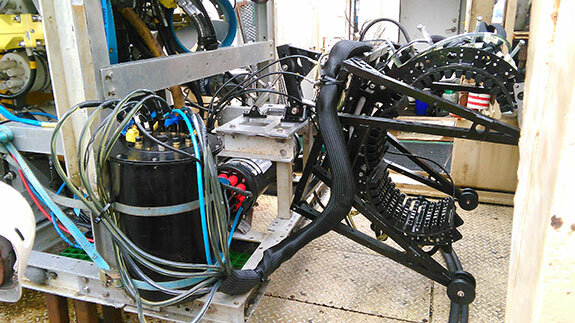 A recent project of TWI’s, undertaken in collaboration with European partners, involved the development of a remotely operated vehicle (ROV) deploying a guided ultrasonic wave (GUW) transducer collar for testing subsea pipelines for corrosion. The GUW method enables ultrasonic testing at long range, with the capacity for detection on either side of the test location at distances of several tens of metres. Following completion of this project, TWI is now advancing a GUW internal inspection pig for use where access to the outside of the pipe is not possible, such as in concrete coated subsea pipelines. Other developments include a simple to use instrument with a vibration sensor. This tool operates with a data processing algorithm, which is able to determine the level of risk and probability of failure that a measured pipe vibration will cause. TWI has also developed new applications for acoustic emission (AE), which can be suitable for detecting and measuring ‘slug’ flow in pipelines to prevent process plant damage downstream. Tat-Hean Gan, Business Group Manager, Integrity Management, at TWI, said: “The current market scenario has resulted in reduced spending by oil and gas companies on research, with one of the main outcomes being that companies are now investing in prolonging the lifespan of their existing equipment and assets. The main area of focus will be advanced methods for life extension, using structural monitoring and predictive analysis based on historic data. This will include the creation of tools and sensors to monitor, inspect and assess damage as it develops and the results of such analyses." Additional information can be found on TWI's website.